University of California Press, 9780520289604, 256pp. It is widely believed that the Emperor Constantine’s conversion to Christianity politicized religious allegiances, dividing the Christian Roman Empire from the Zoroastrian Sasanian Empire and leading to the persecution of Christians in Persia. This account, however, is based on Greek ecclesiastical histories and Syriac martyrdom narratives that date to centuries after the fact. In this groundbreaking study, Kyle Smith analyzes diverse Greek, Latin, and Syriac sources to show that there was not a single history of fourth-century Mesopotamia. 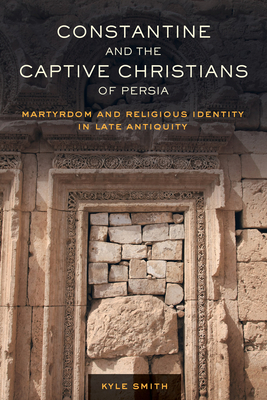 By examining the conflicting hagiographical and historical evidence, Constantine and the Captive Christians of Persia presents an evocative and evolving portrait of the first Christian emperor, uncovering how Syriac Christians manipulated the image of their western Christian counterparts to fashion their own political and religious identities during this century of radical change. Kyle Smith is Assistant Professor of Historical Studies and Religion at the University of Toronto and the translator of The Martyrdom and History of Blessed Simeon bar Sabba'e. "By examining Constantine through the lens of the Sasanian world...[Kyle Smith] manages to break free of Eusebius and his domineering narrative. This will pay dividends for our understanding of this major figure in world history, as well as the history of Christianity in Late Antiquity more broadly. That Smith’s book is so clearly written, well organized, and tightly argued further ensures its impact on the field." "A welcome contribution to an important field of study."